“If you can’t measure it, it doesn’t exist” is a taken-for-granted axiom of our age. It is part of everyday thinking as well as a key component in medical and other forms of research. It has played an important role in the management of military campaigns—most clearly in the Vietnam War. In reflecting on the defeat of the United States in Vietnam, then Secretary of Defense Robert McNamara has argued that too much emphasis was placed on quantifying success in terms of measurable outcomes (e.g., body counts) while other variables were ignored. Hence, the “If you can’t measure it, it doesn’t exist” axiom is often referred to as the McNamara fallacy, which has four distinct steps according to social scientist Daniel Yankelovich. 1. The first step is to measure whatever can be easily measured. This is OK as far as it goes. 2. The second step is to disregard that which can’t be easily measured or to give it an arbitrary quantitative value. This is artificial and misleading. 3. The third step is to presume that what can’t be measured easily really isn’t important. This is blindness. 4. The fourth step is to say that what can’t be easily measured really doesn’t exist. This is suicide. Another social scientist, Dr. Os Guinness, takes a somewhat different tact in discussing the “If you can’t measure it, it doesn’t exist” fallacy. He is concerned about the dangers of what he calls the “tyranny of numbers” for contemporary democratic society. But a fixation on “measurable outcomes” can be even more devastating to the work of the Church. We are in the age of gargantuan numbers, truly instant information, ceaselessly hyperactive social media, when the worldwide web has become a flood-driven Niagara of raw, uninterpreted information and emotion that pounds down on us by the minute with its ceaseless roar and its drenching deluge. Who can hear themselves think, let alone make sense of it all with genuine reflection and seasoned judgments? Every age is fooled by its own fashions, and it is time to subject this modern idolatry of opinion and numbers to decisive Christian thinking. For modern people, numbers are the key to control, but humans are more than aides de camp to the almighty computer. We would of course scorn anyone who put their half-baked preferences, momentary whims, and brazen desires above serious concerns for truth. So why do we bow to opinion polls that are mostly just such emotions gathered with statistical scientific precision and expressed under the halo of grand numbers? Consider the trend toward numbers in the light of original sin, for example, and it would be obvious that any democratic people’s “we” is just as corruptible, if not more so than any autocratic ruler’s “I.” If we do not want mass democracy to degenerate into a new and subtle tyranny of King Demos and his regime of numbers, we must recognize and resist the trend. Ten million ignorant assertions, even when magnified and accelerated in a hundred million tweets and “likes,” still never add up to truth or wisdom. 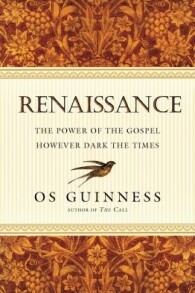 “The Danger of ‘Measurable Outcomes’,” by Os Guinness, was published on the website of The Gospel Coalition and is excerpted from Renaissance: The Power of the Gospel However Dark the Times.